There is a good chance that if you live in the Western world, you have watched (and probably re watched) Mean Girls. After all, Mean Girls is "So Fetch"! I definitely believe there was a solid year in my life when I watched Mean Girls at literally every sleepover I attended. It's just such a good movie! 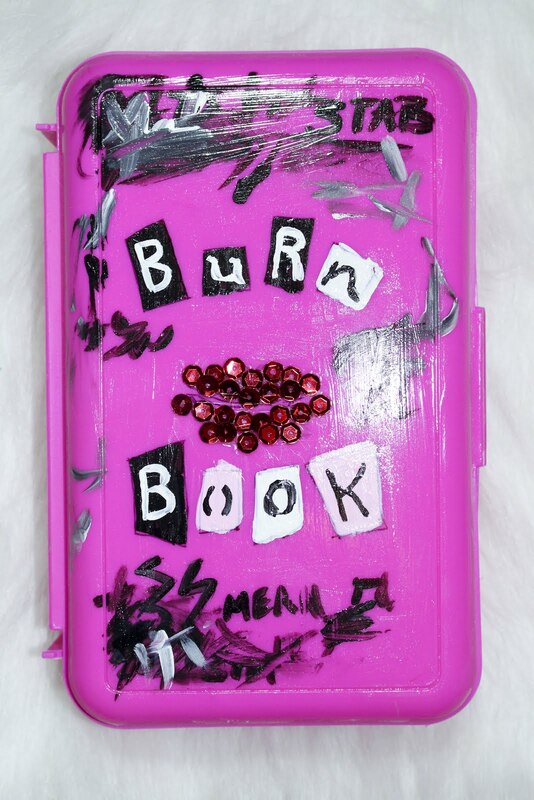 Well, the other week I was perusing Facebook when I came across a Mean Girls inspired makeup brush bag! I know I for one really wanted it! Of course, then I saw the price tag... Definitely too poor. 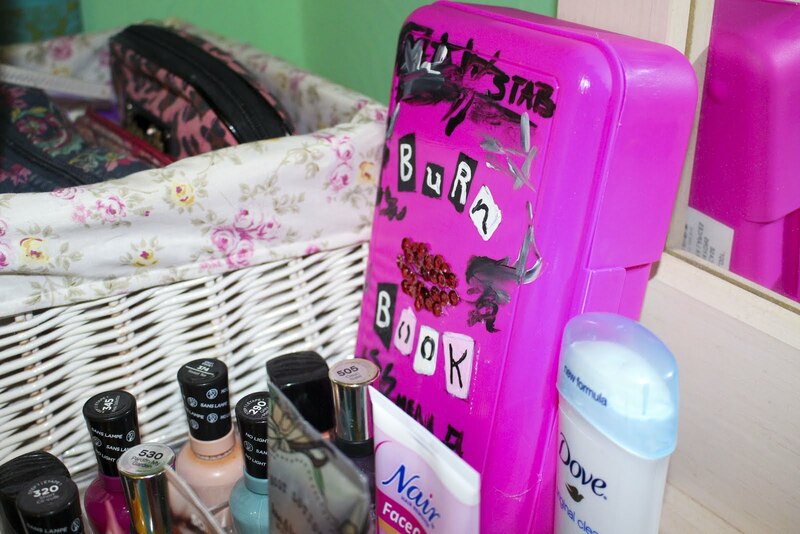 That gave me an awesome idea to DIY a Mean Girls makeup brush bag. Honestly, this DIY only cost like 4 dollars and is much more practical than even my store bought brush bags. 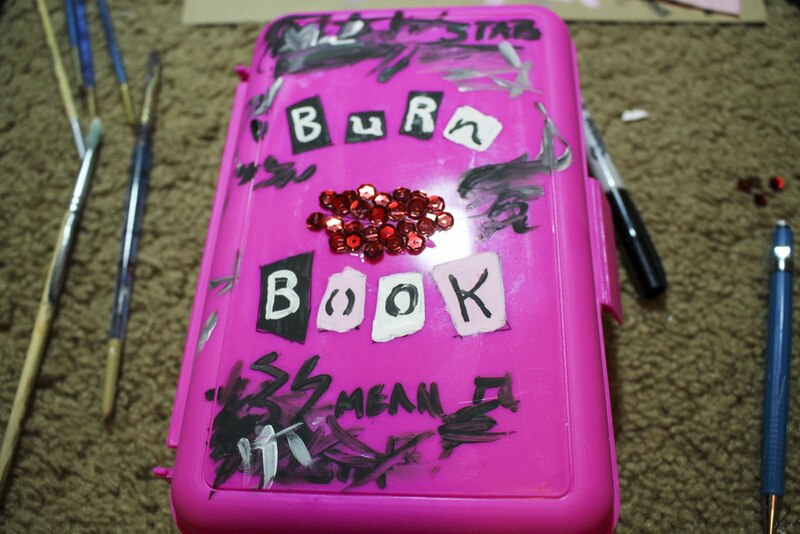 So put on your pink attire, and let's get to creating this DIY Mean Girls Makeup Brush Bag! To begin, you'll want to measure out with your felt the area you'll need to cover the inside of your pencil box. Once you have this all measured out, cut the felt and glue it to the bottom of the inside. 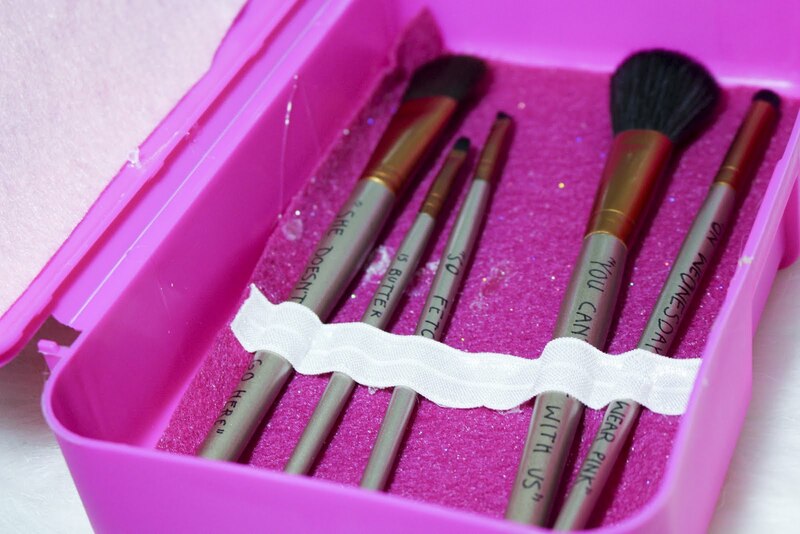 Determine how many brushes you'll want to store in your box. 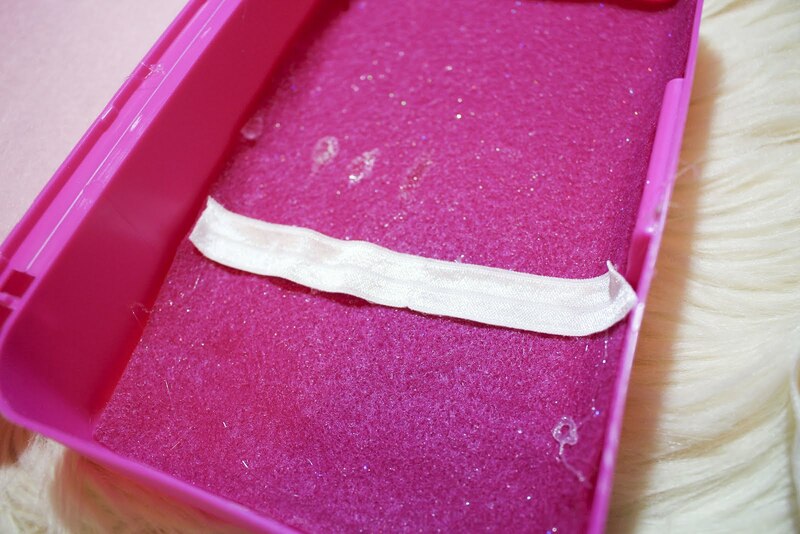 Then, take your elastic ribbon and hot glue it to the felt in the increments needed for all the brushes. This will be where your brushes will be placed to secure them. Now if you happen to have a small mirror, I totally recommend gluing it to the top inside of your pencil box! I, however, could not find a mirror that would work so I didn't do this step, but I think it would be awesome for this DIY. Now that the inside of your box is done, it's on to the fun part: Decorating! 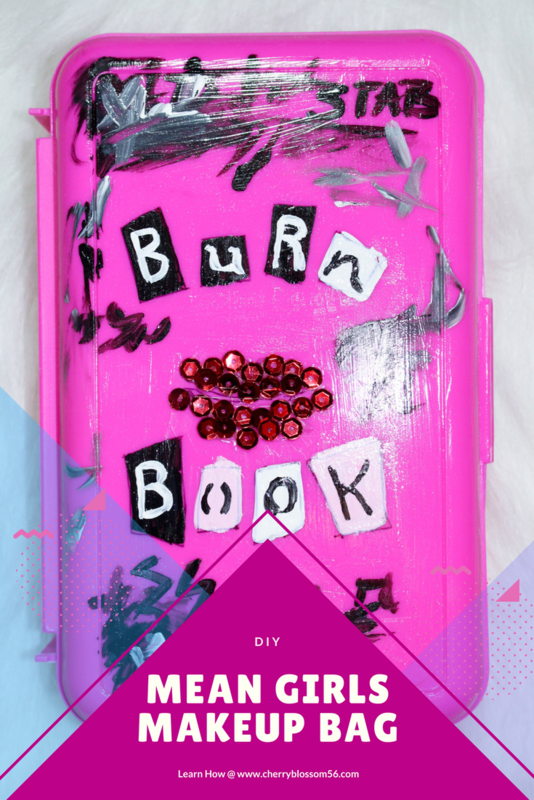 You're going to want the outside of your box to resemble the infamous Burn Book. I begin by using a sharpie to outline the different letters. If you're more daring, feel free to skip the sharpie step and go straight to painting. Then with paint, start coloring in all the different elements. Honestly, the messier your are the better it looks! 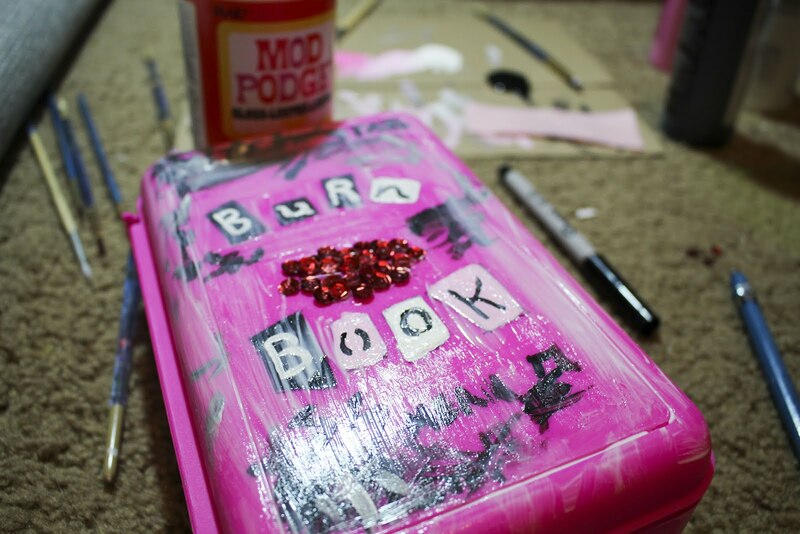 Once the paint is all dry, take your mod podge and give the box a nice glossy coating. 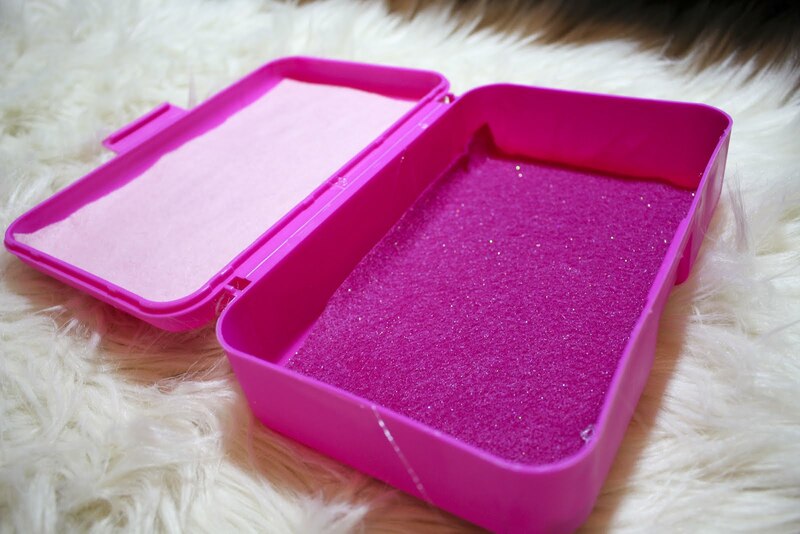 The final step for decorating the box is to take your sequins and glue them in the shape of lips! Mine wasn't super spot on, but I think it gets the message across! Now this step is completely optional, but the real bag came with Mean Girls inspired makeup brushes as well. I found some cheap brushes and quickly wrote some different quotes on each brush. Let's just say I should work on my handwriting (and I call myself an architecture student ha ha!). 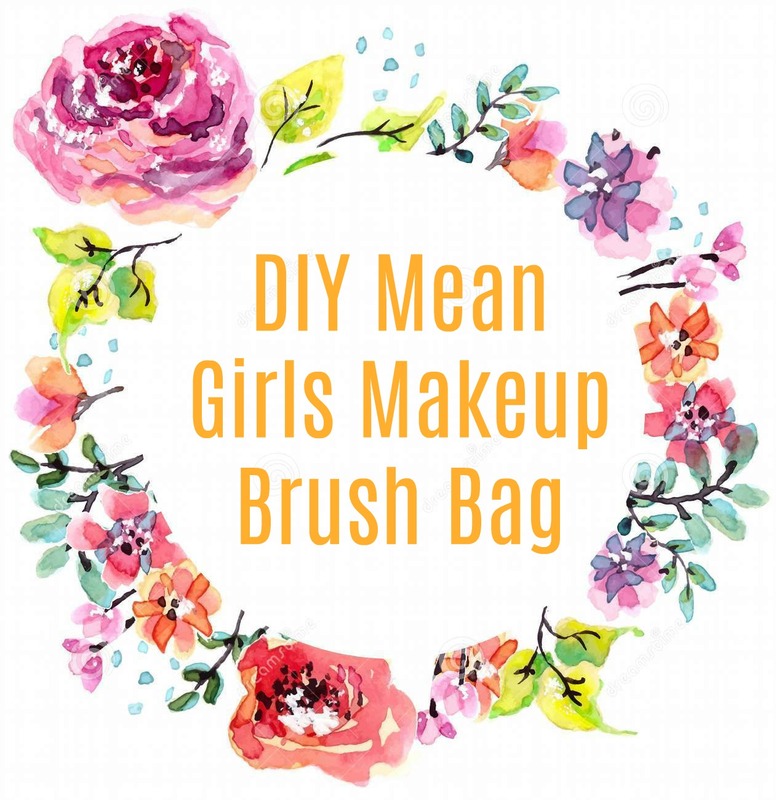 Now you've got yourself a DIY Mean Girls Makeup Brush Bag! (or box) The best part, you can even store makeup in the box! It is super travel friendly! I hope you enjoy this DIY! Let me know below!